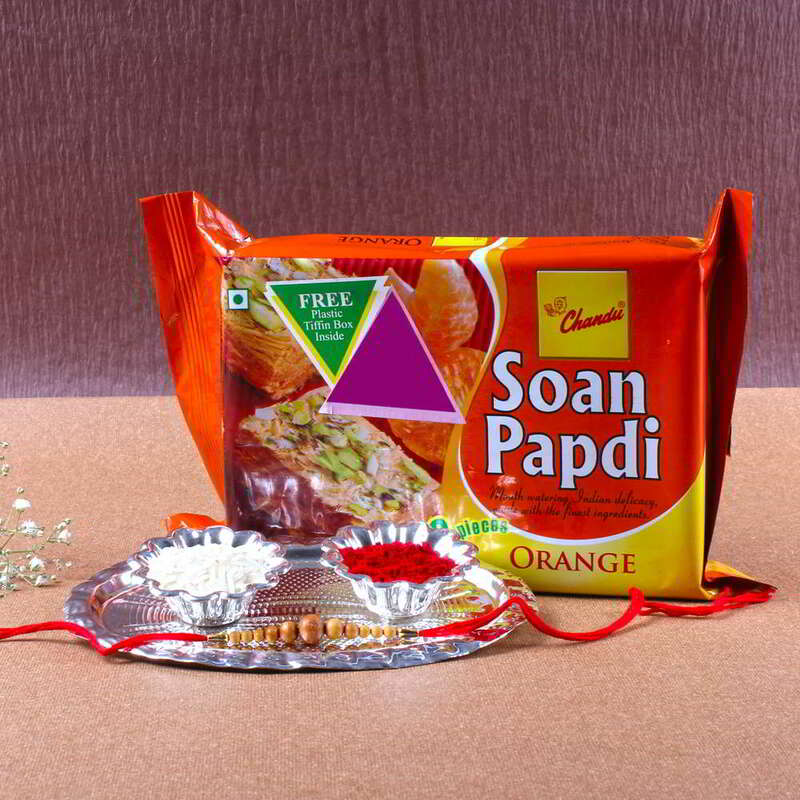 Product Consists: Soan Papadi Orange Flavor (Weight: 200gms), Small Silver Plated Thali with Wooden Beads Rakhi, Packet of Roli Chawal. 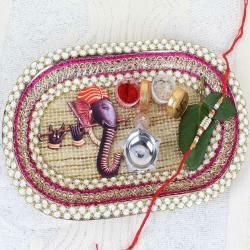 Raksha Bandhan demands a whole lot of sweetness, love, affection and warmth. 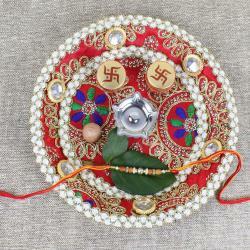 Sometimes, you may have to celebrate Rakhi without being able to spend time with your brother. 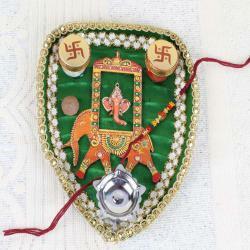 There is this incredible combo on offer that contains almost everything symbolic to your wishes and prayers for your brother on this auspicious day. This is accompanied by a majestic thali that contains Roli Chawal for keeping your age old traditions alive and Soan Papadi sweets to conveying your wishes for your brothers prosperity on this day. 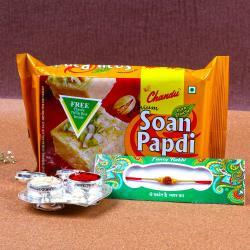 This beautiful Rakhi Combo includes : Soan Papadi Orange Flavor (Weight : 200Gms) and Small Silver Plated Thali with Wooden Beads Rakhi along with Packet of Roli Chawal.